As a meteorologist at Earth Networks, I work with dozens of organizations to ensure they are prepared to mitigate weather-related financial, operational, and human risk. However, there are many differences in terms of how CIOs view the threat of weather. Many businesses incorporate weather intelligence into their operations in a very limited way, utilizing freely available weather sources to simply fulfill a high-level requirement for weather information. Other businesses take a more strategic approach to weather data as an asset across the organization – led by the CIO. Here are the top 3 ways I’ve seen successful CIOs use weather data, forecasts, and alerts to bring a new level of operational performance across different use cases within their organizations. It seems like every time we look at the news there are new natural disasters and severe weather events related to climate change happening all over the world. In 2017 alone, California saw debilitating wildfires, Texas, Puerto Rico, and Florida had major hurricanes make landfall, and the Midwest saw multiple tornado outbreaks. These extreme weather events and other climate-related impacts are imposing significant costs on our society and your business. According to the National Oceanographic and Atmospheric Administration, 2017 was the most expensive year on record for natural disasters in the United States. The succession of calamities came with a steep price tag of $306 billion in damage. So how do CIOs protect their business from future natural disasters that can threaten their digital infrastructure and physical assets? Collecting, tracking, and analyzing weather data helps businesses identify weather trends and make their organization more resilient to severe weather events. 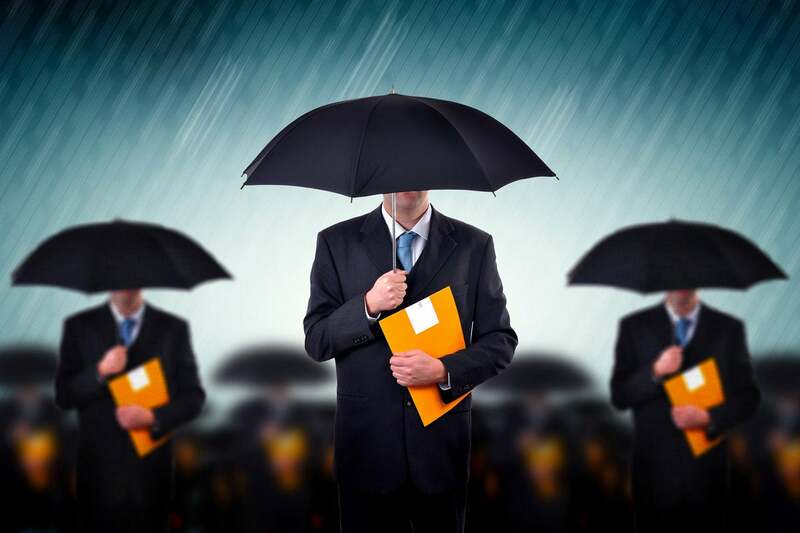 Once these trends are recognized, businesses can predict when and where weather events might adversely impact their operations and trigger their preparedness plans. Understanding weather data at its core leads to better severe weather and natural disaster planning. Beyond protecting the company’s physical and digital assets, weather information is used to protect its most important asset – employees. Consumer weather apps are great for city level information, but don’t have the granularity needed for more pinpointed weather intelligence. The better way is to enable employees with enterprise mobile applications that allow for configurable alerting based on real-time and forecasted conditions for their specific work location. When shopping the market for severe weather alerting, make sure your forecasts and alerts fit the job of your employees. For example, ground operations crew members at airports are very difficult to protect from severe weather with alerts for several different reasons. The noise level of an airport makes auditory alerts like horns impossible to hear. Text alerts won’t work either since they may not have their mobile devices on them and wouldn’t be able to hear them anyway. Visual alerts are the best method for these employees since nothing restricts their sight while on the job. It’s easy to see how this makes employees safer, but how does it make them more productive? According to the United States Department of Labor and the Occupational Safety & Health Administration, showing employees you care about their safety and health is a big deal and makes them more productive. When you use severe weather alerting tools to protect employees and they know about it, they will not only be safer but more productive as well. Adverse weather conditions can cause operational and financial headaches for all sorts of businesses. It doesn’t matter if you are a CIO of an financial institution, retailer, or utility company: Severe weather impacts you. Lightning strikes, wind, and snow can all cause debilitating power outages that halt operations…and your cash flow. That’s why weather forecasts that incorporate a wide variety of weather data sets are so very important to CIO’s. When it comes to weather-related decision-making, you want to make sure you have the right tools on hand. While every organization must worry about weather, some must worry about different conditions than others. For example, winter resorts are very concerned with climbing temperatures and precipitation alerts. On the other hand, utility companies worry more about lightning strikes and storms with high winds. You want to rely on weather data that allows you to set custom alerts for the conditions that matter to you and your operational area(s). This will help you make critical operational decisions that can help you save money in the long run. Did you know that businesses spend $170 billion a year on costs associated with occupational injuries and illnesses? As I mentioned earlier, a big benefit of weather information is employee safety, and this benefit extends to saving you money by protecting your employees from weather-related injuries. According to OSHA, workplaces that establish safety and health management systems can reduce their injury and illness costs by 20 to 40 percent. Coupled with the savings businesses gain from using weather data to make the correct operational decisions, these systems can result in huge savings. If you want to be a hero to your business continuity, financial, and human resources departments (as well as the average employee!) you need to start incorporating weather data, forecasts, and alerts within your enterprise data strategy. The great news is that there are many ways to combine and incorporate these tools in a way that best fits your organization. Good luck and stay safe!